Meals requests, and views on food, are not expressed in the same way all over the world. To help travelers with special dietary needs communicate their requests to their host ryokans, the following definitions and explanations are the guidelines that Japanese Guest Houses uses when communicating with your ryokan about your meal request. We want to make sure that we understand your needs, so we can communicate them clearly to the ryokans. If you have any special meal requirements like Celiac, allergies, vegetarian with fish, vegan, or specific foods that you cannot eat, then you must tell us when requesting availability. Please keep in mind that special meal requirements will limit the number of ryokans available to you and it may be impossible to find one for you. Of course we will do our best to find a ryokan that can prepare meals for you. 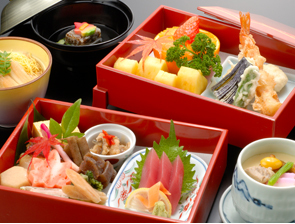 Please tell us your Meal Requirements when Requesting Ryokan Availability. No Fish – not serving you fish is easy but fish broth (katsuo dashi) is used as a spice in many Japanese dishes. No Gluten – this is difficult because there is gluten in soy (soya) sauce which is used as a spice. 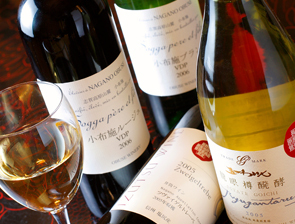 Halal – Japanese dishes are often spiced with mirin (cooking sake) which is alcoholic. The amount is very small but adds a vital flavor. Vegetarian meals with fish:You will not be served meat (beef, pork, chicken…) however you might be served fish, seafood and eggs. Vegetarian meals without fish but with Katsuo Dashi (fish broth) and eggs:You will not be served meat, fish or seafood, however you might be served Katsuo dashi and eggs. Vegetarian meals without fish and Katsuo Dashi (fish broth) but with eggs:You will not be served meat, fish, seafood or Katsuo Dashi, however you might be served eggs. Vegan meals:You will mainly be served vegetables. You will not be served meat, seafood, Katsuo dashi, dairy or eggs. All allergies need to be brought to our attention and explained in detail. Your meal will not contain fish but it will have Katsuo Dashi. Also you might be served meals with shellfish, crustaceans, mollusks, octopus, squid and seaweed. You will be served meals without shellfish, crustacean, mollusks, octopus, or squid, however fish and seaweed might be served. Meals without Seafood and without Fish but with Katsuo Dashi You will be served meals without fish, shellfish, crustacean, mollusks, octopus, or squid, however seaweed and Katsuo Dashi might be served. Your meals will not contain seaweed. You will be served meals without raw fish or raw seafood but cooked fish might be served. You will only be served cooked food. It is often recommended to carry a personal supply of Tamari (wheat free soy sauce) that can be used to compliment meals at the ryokan or at a restaurant. Also, this gluten free restaurant card can be used during your stay. Any other special requests should be brought to our attention.Japanese Breakfast Usually ryokans serve the following dishes as breakfast: White rice, cooked fish, miso soup, seaweed, vegetables, eggs, natto. Kid meals For guests traveling with children under 6 years old, some ryokans serve kid meals. By kid meals the ryokans mean: A smaller portion than adult meals and the food is usually Western combine Japanese style. However the kid meals are differ in each ryokan. Diabetic Meals Many ryokans can prepare diabetic friendly meals with with low calories, without sweets or sugar, without white rice and white deep fried food. Japanese Definitions of Ingredients Subject to Meals Request. Fish: The flesh of any aquatic vertebrate, in either salt or fresh water, that has gills, fins, and typically an elongated body with scales. Seafood: any shellfish, crustacean, mollusk, octopus, or squid from the salt water or freshwater. 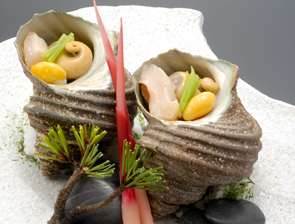 Shellfish: Culinary term for crustaceans, mollusks, and echinoderms. An aquatic animal having a shell such as the oyster and other mollusks or a hard exoskeleton such as the lobster or other crustaceans. Seaweed: Plants from the sea such as Nori, Hijiki, Kanten, Konbu, and Mozuku. These are also known as sea vegetables. Katsuo Dashi: Fish broth made with dried bonito flakes used in most Japanese dishes. Octopus: The octopus is a cephalopod mollusk. Squid: Squid are marine cephalopods. Red Meat: The flesh of beef. Pork: The flesh of a pig or hog used as food. White meat: The flesh of a chicken. Peanuts: Technically peanuts are not nuts, but legumes. The peanut, or groundnut (Arachis hypogaea), is a species of the legume “bean” family. Please note that sesame might be served though you request a meal without peanuts. Tree Nuts: Tree nuts are considered dry fruits, for example: hazelnuts. A nut is a hard-shelled fruit of some plants having an indehiscent seed. Please note that sesame seeds might be served though you request a meal without tree nuts. Dairy: Cow’s milk, cow’s milk yogurt, cow’s milk cheese, and cow’s milk ice cream. Wheat: Wheat is a grain used in flour. In Japan guests that request meals without wheat will be serve meals without flour, barley or rye. Eggs: Japanese define eggs, as chicken eggs so if you are allergic or cannot eat other kinds of eggs please let us know. Soba Noodles made with buckwheat: Soba is a type of thin Japanese noodle made from buckwheat flour. It is served either chilled with a dipping sauce, or in hot broth as a noodle soup. MSG: Monosodium glutamate, is a sodium salt. It is used as a food additive and is commonly marketed as a flavor enhancer. It has the HS code 29224220 and the E number E621. Meals without spicy food: Meals without spicy food will not include spicy food, spicy sauce or wasabi. Meals without Lentil beans: You will be served meals without Lentil beans, however you will be served soybeans. Due to the Japanese law about food poisoning, you are not allowed to bring raw meat or fish of any kind into your room. 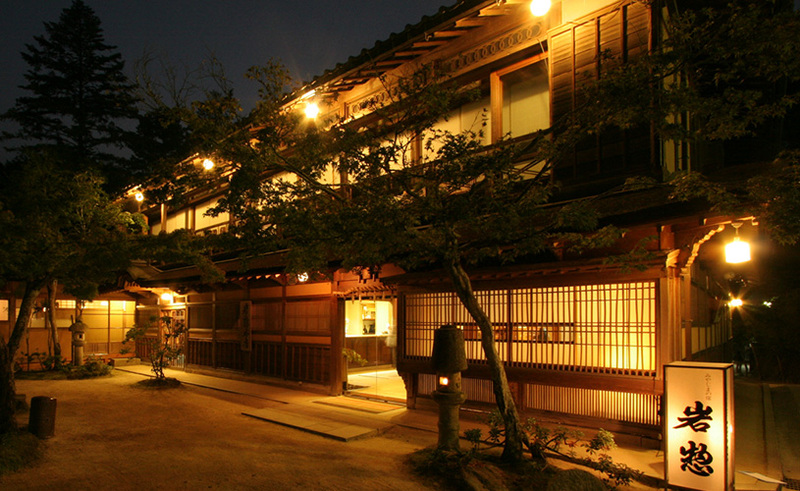 In a case of food poisoning, the ryokan would be fully inspected and would be responsible for the food poisoning. To limit the ryokan’s risk you are not allowed to bring raw food such as Sashimi and Sushi inside the ryokan. We sincerely thank you for your understanding.